I was drafted and served in the US Army receiving an honorable discharge as a SGT E5 in May of 1973. I received my BFA from UC Davis in 1979, graduated with honors and was initiated into Phi Kappa Phi National Honor Society in 1979. I also served as President of the Ski club, Art Club and served as Student Services Senator Associated Students of Cabrillo College while receiving an AA with honors. I have worked in construction for over 50 years. My hobbies are fishing and building furniture. I hold membership in Oakland Scottish Rite, Royal Arch Masons (life member), Doric Chapter, Council, Knights Templar, Past President of Masters and Past Masters Association of Alameda and Contra Costa County, serving Unity #65 Rainbow for Girls as Board President and currently serve Bethel # 1 as Associate Bethel Guardian. 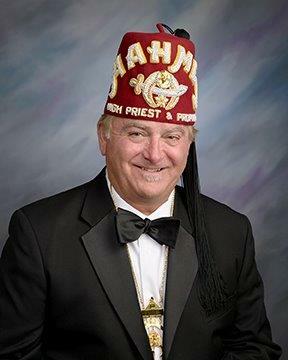 I am Past President of Shriners Masters and Past Masters Club, now serving Aahmes on the Board of Governors for the Northern CA Shriners Hospital as Building & Maintenance committee chair. I have been a Master Mason for 35 years. I have also been a member of Crow Canyon 551 and Pleasanton 321 and served as Master of both lodges. I have served the Grand Lodge of CA in many capacities: as Trustee for Masonic Homes Of CA for nine (9) years, Acacia Creek Board for two (2) years, Masonic Properties Committee for five (5) years, Grand Lodge as Inspector for four (4) years and ultimately served the Grand Lodge as Grand Sword Bearer 2014 – 2015. I received my Hiram Award from Pleasanton Lodge #321 in 2017 and am a 53-year Senior DeMolay. My spouse is Nicki Paula Kikes-Avery. I have three very independent and amazing children (oldest to youngest): Richard Abram Avery, Jordan Avery and Alana Vivi Avery.